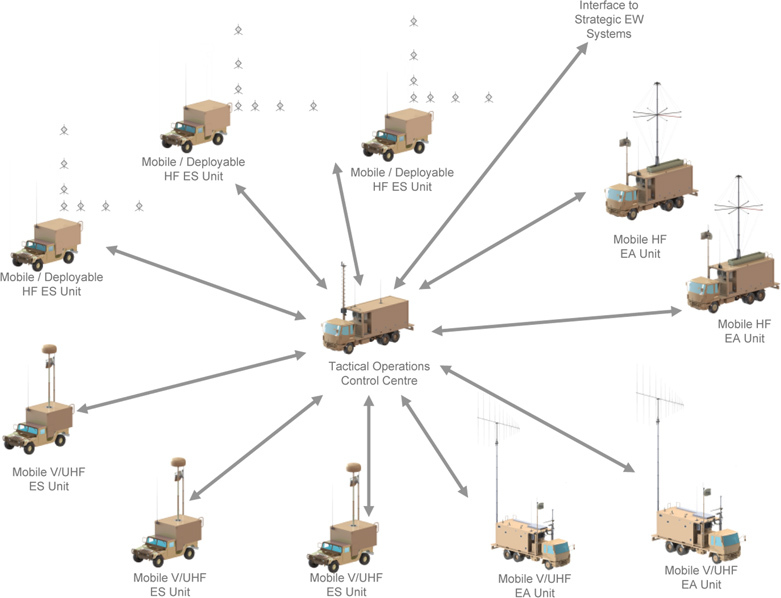 The primary purpose of a tactical electronic warfare system (TEWS) is to support the battlefield commander in tactical decision making through the collection of enemy communications information using an electronic support (ES) system. The battlefield commander could also use this information to disrupt enemy communications by deploying electronic attack (EA) capabilities. A secondary purpose of the system is to supply intercepted information to the strategic domain for processing, validation, analysis and decision making at their level. 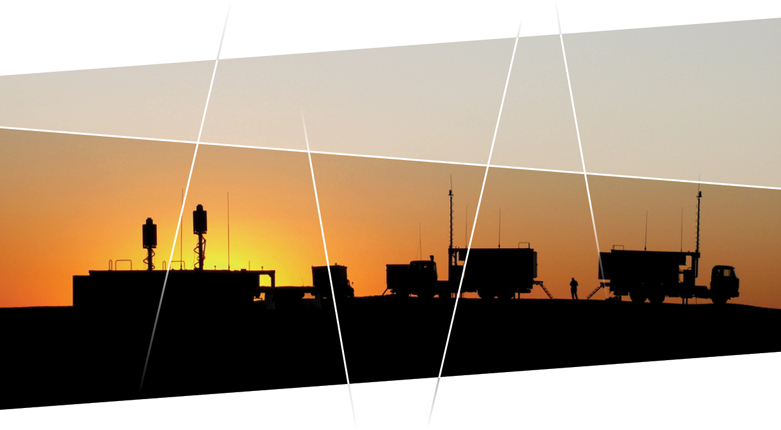 A tactical EW system can cover the ranges of HF, V/UHF, SHF or a combination of all. A minimum of three ES stations is required for accurate location of target emitters by means of triangulation. Additional ES stations help to increase area coverage of the system and also to allow flexible assignment of triangulation baselines. EA stations can be added to the system for disruption of identified target transmitters. Communications between stations and the Tactical Operations Control Centre is done via a tactical communications network. This is typically a secure tactical radio data network, WiLAN, satellite communications system or a microwave link. The speed and bandwidth of this communications network as well as the time required for setup are key factors in determining the performance of the system.